People have strong opinions about coffee; who knew?! 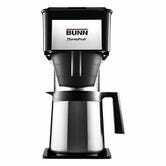 We received dozens of nominations for your favorite coffee maker, but only one can reign supreme. Check out the five final nominees below, and don’t forget to vote for your favorite. Automatic Pour-Overs: Do They Make a Better Cup of Coffee? We got this about a month ago and it’s an excellent coffee maker. No clocks, no timers, no sneak-a-cup, no bells and no whistles, just an efficient and ridiculously fast coffee maker. It’s the consumer version of the type you see in an office where the tank of water is always hot, so you pour a carafe of cold water in the top and it cycles the hot water through. 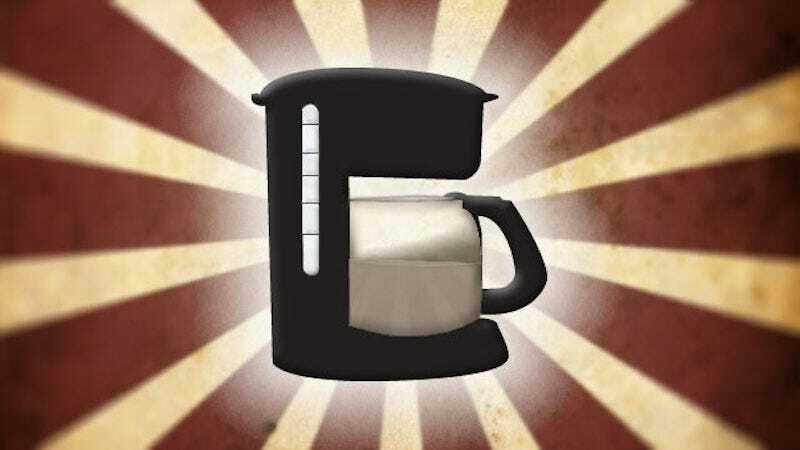 It’s not a bit of hyperbole when I say it brews a great pot of coffee in three minutes. The thermal carafe does an excellent job of keeping the coffee hot, and for a long time. The other morning I brewed a pot and something came up so it sat unconsumed. The following morning when I went to make a pot I found the previous brew and it was still quite warm. No joke.